Just a heads up that there’s an article in this months Total Flyfisher on how to catch specimine trout from running water written by myself and featuring Terry Bromwell. The article describes our basic setup for targeting these big fish, along with their locations in the river and how to go about targeting them. 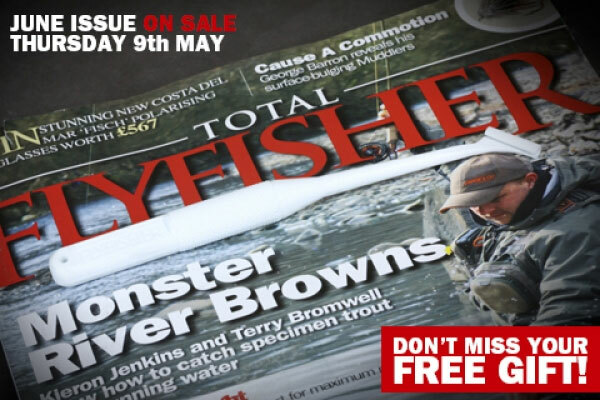 It’s an interesting read for the avid river angler, just look for the shot of Terry Bromwell landing a fish on the front cover! If you ever fancy a spot of fishing in Wirral be sure to check out my website before you go. Next Next post: It’s Mayfly Time!